Taking in eight countries from Kenya's bustling capital, Nairobi, to South Africa's vibrant Johannesburg, this trip offers a glimpse into all that is African. It combines the memorable experience of trekking the rare mountain gorilla with wildlife watching in the famous game parks such as the Masai Mara, Serengeti, Ngorongoro Crater, Chobe and Kruger, and lazy days on the beaches of Zanzibar and Lake Malawi. It also covers some of Africa's scenic wonders such as the thundering Victoria Falls and watery channels of the Okavango Delta. Passengers are recommended to arrive the day before their trip departs. Airport pick up on arrival and one night's pre-trip accommodation in a dorm bed is included in the trip fee. Anyone wishing to spend longer to explore Nairobi should aim to arrive with time to do this. Amanzi Travel can help with suggestions of suitable accommodation. This itinerary should be used as a guide only and may vary from day to day depending on road and weather conditions, political situations and group decision. All prices and local payments are subject to change. Due to tourism laws in some countries there may be a truck and crew change during the trip. For booking purposes anyone choosing NOT to trek the Mountain Gorillas should advise Amanzi Travel when booking. Masai Mara National Reserve, Great Rift Valley, Kampala, Lake Bunyoni, Lake Nakuru National Park, Lake Naivasha, Serengeti Excursion, Meserani Snake Park and Masai Cultural Museum, Dar es Salaam, Zanzibar Ferry, Zanzibar Excursion, Spice Tour, Sunset Dhow Cruise, South Luangwa National Park, Lake Malawi, Entrance to Victoria Falls, Chobe National Park, Chobe Boat Cruise, Chobe Overnight Excursion, Delta Excursion, Kruger National Park and Night Game Drive. Upon entering this beautiful east African country volunteers may be greeted with the words of "jambo" (hello) or "hakuna matata" (no problem) by the friendly locals. With a population of almost 42 million and land area of more than 580,000 sq km Kenya is home to an abundance of animals and colourful tribespeople, making it the perfect getaway for a once in a lifetime safari. Leaving the hustle and bustle of Nairobi the escarpment will be climbed to the first stop, a viewpoint overlooking the spectacular Great Rift Valley. Descending into the Rift Valley, Masai land is entered where these habitual pastoralists are often seen tending their cattle from the side of the road. The town of Narok is passed before arriving at the campsite, Acacia Camp, which looks on to the Meguarra hills and the stream that meanders by on the bottom end forms a natural border to the Masai Mara National Reserve. After an early start the day will be spent driving through the Masai Mara Reserve - one of East Africa's best National Reserves and home to a wide variety of wildlife species. Most famous for the Annual Migration when impressive herds of over 1 million wildebeest, zebra and Thomson’s gazelle cross over from the Serengeti National Park in Tanzania, the Masai Mara is most popular in July and October when these vast herds feast on the fresh grazing here. The group will game drive through a section of the park in search of the 'Big 5' - elephant, rhino, buffalo, lion and leopard, along with the many other species of animals, reptiles and birds who call this wilderness home. Leaving the Masai Mara early in the morning, the group will pass through the scenic tea plantations of Kericho before descending the Rift Valley Plateau, on the way to Eldoret. The "Pearl of Africa", as it is referred to by its people, is home of some of Africa's major attractions. 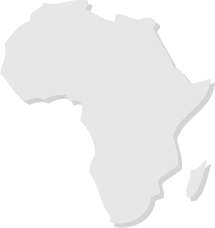 This country contains four of Africa's seven great lakes, including Lake Victoria which is the second largest body of fresh water in the world. Lake Bunyoni is one of these spectacular lakes with its mythical landscapes and hidden bays. The source of the Nile at Jinja allows the opportunity to tame the mighty waters with some of the world's best white water rafting, and to top it all - this breath-taking country has the largest population of primates anywhere in Africa. 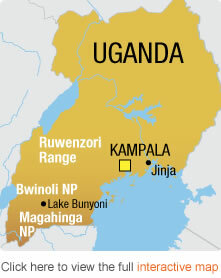 Today, the border into Uganda is crossed and an overnight stop in the capital city, Kampala. Uganda is a small country of striking physical beauty. Its landscapes vary from the fertile green areas around the northern shores of Lake Victoria to the snow capped Ruwenzori Mountains in the west and the semidesert region in the north. The political instability that has haunted Uganda in the past has actually had the positive effect of leaving the country free of the over commercialism so common in other parts of Africa. The current administration under President Museveni has devoted considerable effort and funds to return Uganda to its former status as one of Africa's most prosperous and, from a tourist’s point of view, one of the most appealing and interesting countries to visit. After an early morning departure from Kampala to-day's drive will be in a westerly direction into the depths of Uganda to the base iat Lake Bunyoni, the deepest Crater Lake in Africa and home to a large and varied number of beautiful birds. This is the base from where the optional Gorilla trek takes place. Dependant on where trekking permits are available, the trek will be in the Magahinga or Bwindi National Parks in Uganda, the Virunga National Park in the Democratic Republic of Congo, or the Ruhengeri National Park in Rwanda. The prices of trekking permits fluctuate and may change without prior notice – currently they are priced at US$600 depending on the trek. There is a local transport fee of US$120 per person which covers the return transfer and the Wildlife Authority's booking fee. 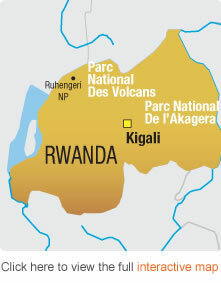 For trekking in the DRC or Rwanda it will be necessary to purchase an additional visa to enter either country, as well as renewing the Ugandan visa upon re-entry.The trip leader will advise at the pre-departure meeting as to where the permits have been secured and will assist with the online visa application for Rwanda if required. Please budget accordingly as payment for the permit must be in US$ cash at the pre-departure meeting. Please also budget a little extra for tips for the local guides and rangers. Trekking Procedures: The mountain gorilla (Gorilla Berengei), of which there are still only about 700 remaining, is one of man's closest living relatives. A visit to these gentle giants in their natural environment is a unique and wonderful experience - one never to be forgotten. The park rangers monitor the gorillas on a daily basis and have a fairly good idea of where they are. However, they are free roaming animals, and their sighting can not be guaranteed. As the gorillas share much of man's DNA, anyone with even the slightest cold or transferable illness will not be permitted to trek. Trekking is also only open to people over 16 years old. Due to the restrictions on the daily number of visitors to these incredible animals, departures from the base at Bunyoni will be in small groups over 3-4 days, depending on the group size. Each small group will wind its way through some of the most picturesque scenery in Africa en route to the National Park. Dependent on where permits are available the night will be spent in either Kisoro or Rwanda. The following morning, after packing a picnic lunch, will see the group transferred to a ranger’s station where the trek commences. The rangers will lead the group through the cultivated lands and then into the dense rain forest and on to a gorilla family. Trekking can take anywhere from 45 minutes to 8 hours and it can be quite strenuous, so a reasonable level of fitness is required. To ensure the gorillas do not get too used to the presence of humans and because they share many of man's genes (and therefore able to catch man's diseases), the maximum time permitted to spend with them is 1 hour. This will be plenty of time to watch their activity and to take photographs. The rangers will be able to provide a background to the family being visited. Once the hour is up, there will be a return trek back out of the rain forest to the meeting point and then back to the Lake Bunyoni campsite. Depending on where the trek takes place it may also be possible to pass through some of the local villages that have settled in the region due to the high number of refugees fleeing from the Rwandan Genocide, or from the continued unrest in the DRC. The villagers in this area are mainly subsistence farmers and families that farm against the slopes of the volcanoes and it is impressive to see how they have ploughed, planted and harvested their crops in such an unlikely landscape. * Gorilla Trekking is optional. After marvelling at the experience of the gorilla encounters and enjoying the peaceful Lake Bunyoni, the drive back to Kampala is begun, crossing the equator for the second time and a stop for the classic "one foot in each hemisphere" photo opportunity. An overnight stop is made in Kampala with the opportunity to sample the night life! Today there is the option of visiting the Ngamba Island Chimpanzee Sanctuary or heading to Jinja for a selection of adventure activities including white water rafting at the source of the White Nile, quad biking or volunteering at a community project. Spend the afternoon relaxing on the banks of the river, or ticking off the wide variety of water birds in this area. Today the trip will head back to Kenya, stopping for lunch and supplies en route. An overnight stop will be made in Nakuru, at a lovely campsite on a local farm. Nakuro, which is Kenya’s 4th largest town and capital of the Rift Valley Province and lies adjacent to the small but wildlife rich Lake Nakuru National Park. This morning the exploration of the Lake Nakuru National Park is begun - famous for the thousands of lesser and greater flamingos that flock to this soda lake’s edge. The numbers vary depending on the water level, and when it’s low, the lake almost turns pink. A truly spectacular sight! 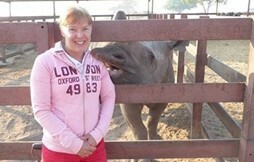 The park was established as a sanctuary for black and white rhino, which are often seen. The day will be spent searching for these pre-historic looking beasts as well as the elusive leopard, encountering buffalo, giraffe, various antelope and the occasional hippo along the way. After the game drive the tour will head to the campsite, arriving in the late afternoon. Moving further east to head to Lake Naivasha, home to a multitude of bird life, the most magnificent being the African Fish Eagle with his regal cry. At 1880 m, this is the highest of the Rift Valley lakes. Time permitting the afternoon will be spent enjoying optional excursions like Elsamere (former home to Joy & George Adamson of Born Free fame), a boat ride to the Crescent Island Game Sanctuary or a bike ride around Hell’s Gate National Park. After breakfast, the group will head back to Nairobi usually arriving late morning or early afternoon, where some passengers will leave the tour. Tanzania's natural environment and geographical features have made it one of the best tourist destinations in Africa. Being the largest country in east Africa, Tanzania has heaps to offer her visitors including 13 game reserves and national parks. Tanzania also forms part of the world's largest animal movements, the great migration. Inland are the vast Serengeti National Park and the animal-packed Ngorongoro Conservation area, and thousands of people every year fulfil their lifetime achievement of climbing to the top of Mount Kilimanjaro, which is the highest mountain in Africa. One the coast, Zanzibar is exotic, intriguing and steeped in the unique Swahili culture. This morning new passengers will join for the next leg of the trek before travelling south crossing the border into Tanzania at Namanga. The night will be spent in a lovely campsite in Meserani on the outskirts of Arusha, before heading out on the Excursions to the Serengeti and Ngorongoro Crater. This morning a visit to the Meserani Reptile Park and Masai Cultural Museum will be made. A few minutes' walk from the campsite is a gallery selling the bright and iconic Tinga Tinga paintings and the town of Arusha is nearby to explore. After enjoying lunch at the campsite against the backdrop of Mount Meru the Tanzanian guides will be met and the group will transfer into locally operated 4WD vehicles which have been adapted for safari use and allow excellent viewing and photographic opportunities through the opening roof hatches. Leaving the camp the excursion will travel via the Masai town of Mtu Wa Mbu (Mosquito River) that lies adjacent to the Lake Manyara National Park and up the Rift Valley Escarpment to the higher lying village of Karatu. Karatu offers magnificent views over the surrounding hills and has many well established wheat farms that add to the picturesque panoramas. The evening will be spent at a pleasant campsite in Karatu - with no ablution facilities. This morning there will be an early departure for the Ngorongoro Conservation area and the wildlife rich Ngorongoro Crater. The Crater is the largest unbroken, unflooded caldera in the world and is comprised of open savannahs, acacia forests and both soda and fresh water lakes. It is a veritable "Garden of Eden". This World Heritage Site boasts some of the best game viewing in Africa – including the elusive Black Rhino. After the game drive in the Crater, the tour heads down the Crater rim and past the ‘Cradle of Mankind’ on the way to the Serengeti National Park, crossing the vast plains on the game drive through the southern and central areas in the park. Tonight's camp is in the bushveld (no ablution facilities) surrounded by the sounds of the African wilderness. With no fences surrounding the campsite this is truly in the midst of nature! in the morning there will be another game drive and time to explore the landscape in search of the resident game. With luck some of Africa’s ‘Big 5’will be seen! After the morning drive, it will be time to head back across the plains and the lush Crater rim to our truck at Arusha, where the evening will be spent musing over the thrilling wildlife experience. This morning the tour will head to Arusha to stock up with supplies before continuing on to Dar Es Salaam driving through the town of Moshi on the way. Moshi is the base for Mount Kilimanjaro climbing expeditions, and weather permitting it may be possible to catch a glimpse of this magical mountain’s snowy summit - a photo opportunity not to be missed! Vast sisal plantations will be passed surrounded by the Usambara and Pare Mountain ranges, before reaching the lovely campsite nestled between these mountains, midway between Arusha and Dar es Salaam. * Some trips may choose to forego this night at their own cost. Today the journey to Dar es Salaam continues,travelling through lush scenery and palm trees, as the warm Indian Ocean is approached. To-day's drive time is extended due to the heavy amount of traffic heading into the city, but the sights and sounds of Dar's vibrant suburbs are very entertaining. Look out for the colourful shop fronts with their sometimes humorous catch phrases. On arrival in Dar es Salaam the group will make its way to the ovely seaside campsite to prepare for their departure to Zanzibar the next morning. A ferry is taken from Dar es Salaam to the "Spice Island,” where the next three nights will be spent. Zanzibar is steeped in history and was one of the major starting points for most East African explorers in their quest for new lands. New passengers may join here to replace those that’ll leave at the end of our excursion to Zanzibar. Please note: Meals are not provided whilst on Zanzibar, as experience has shown that passengers prefer to explore the island on their own and in accordance with their own budget. The Trip Leader is available and can arrange activities, while meals can be enjoyed from a wide selection of restaurants.There is also a wide range of optional excursions on offer - see price guide under "Optional Excursions". PLEASE NOTE: New legislation prohibits the taking of photographs during the Zanzibar ferry ride. Spot fines can be issued if legislation is not obeyed. History aside, Zanzibar offers a wealth of experiences for the visitor. Today the quiet streets of the old Stone Town still retain their Arabic influence, from the Medina-like shops to the palaces of the Sultans, who founded their vast empires on the spoils of the slave and ivory trade. The island is famous for its spices and an excursion around a spice plantation is always a fascinating experience. Other options include a trip to the beautiful beaches and giant tortoises of Prison Island, a full day scuba dive in Nungwe or a fishing trip in a traditional dhow. Mopeds are available for hire for anyone wishing to explore the more remote areas of the island. Zanzibar is a seafood lover’s paradise. Numerous restaurants offer a great variety of the freshest catch from the ocean - crayfish being a popular speciality. Alternatively, mingle with the locals for dinner at the Forodhani Gardens seafront market, where delicious, inexpensive seafood is on offer. Leave Zanzibar in the afternoon and return to the mainland and another night in Dar es Salaam. Arrival back at camp is usually in the late afternoon or early evening. This morning Dar es Salaam will be left and travel will be in a southerly direction, passing through the Mikumi National Park where it is possible to view a range of wildlife from the roadside, totally impervious to the passing traffic. The night is spent in Iringa in a beautiful rustic campsite famous for its Amarula Hot Chocolates and its steamy showers! A variety of attractions can be found in this exquisite country such as forest, mountains and many a rural village, but there is one major attraction - Lake Malawi. There are many small rustic resorts along this fresh water lake where volunteers can kick back the sand, and enjoy the perfect sunset over this lake. Malwai will offer the perfect sub-tropical climate, allowing ample time to soak up the sun and work on a tan. Lilongwe is the largest city in Malawi, as well as being the capital city. 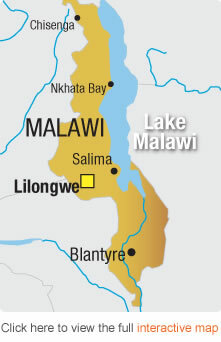 Malawi plays host to just over 12 million people, with English and Chichewa being the main languages. Most of the time in Malawi will be spent enjoying the white beaches and warm waters of Lake Malawi, which is known as the "lake of the stars", with an abundance of water activities. With over 500 species of fish, this lake makes for excellent sport for fresh water diving, after meeting and greeting the welcoming locals. Taking in the beauty of the Tukuyu tea and banana plantations, the tour will head towards Malawi entering the ‘Warm Heart of Africa’ through the border post at Songwe. Malawi is a landlocked country with 20% of its total area made up of beautiful Lake Malawi. The length of the western side of the lake will be travelled, stopping off at various bays and inlets over the next three days which can be spent learning the game of bao from the locals, scouring the markets for a bargain or simply relaxi ng on the pristine white beaches. Malawi’s temperate climate allows for swimming in the clear blue freshwater lake all year round. Explore the beautiful shore and happen upon the local fishermen sorting their catch. Traditional fishing techniques are still practiced and to appreciate their boating skills, try to paddle a dug out canoe yourself! At night the "fairy" lights of the fishermen out on the lake can be seen. The various beachside campsites along Lake Malawi’s shores offer many optional excursions including a variety of water sports, horse back rides and a visit to the local village and school. Optional Activities: Varied - but the village tour is recommended. If volunteers can take along any pens, notepads, pencils etc to the village, these will be really welcome. 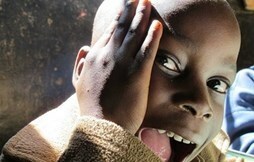 To-day the tour will head away from Lake Malawi and cross over into Zambia. This lovely park is situated on the Luangwa River in the eastern part of Zambia, and is the southernmost of three national parks in this region. South Luangwa was founded in 1938 as a game reserve and in 1972 was declared a national park and to-day it covers over 9000 kilometres squared and is home to animals such as giraffe, buffalo and elephants which can be found in abundance. 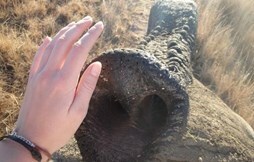 The park is also home to many a hippo and croc. To-day the tour will leave this amazing national park and travel south. While driving many villages and towns of Zambia are passed on the way. Prosperous during the copper boom in the 60s, Zambia was able to build infrastructure at the main mining and farming communities. After the fall of the copper industry the country was left virtually bankrupt and existing infrastructure was left to fall into ruin. Due to foreign investment and a rise in the mining industry Zambia is once again to-day starting to prosper. The tour will head south to-day journeying through southern Zambian towns mostly supporting local agriculure and farming on the way to Livingtone. The Victoria Falls or Mosi-oa-Tunya (the Smoke that Thunders) is one of the Seven Natural Wonders of the World and it’s not difficult to see why. At 1700m wide and around 100 m high, this is the world's largest sheet of falling water and a memorable sight on any African Safari! The Falls can be viewed from the Mosi-oa-Tunya National Park, Zambia - a fantastic photo opportunity. Tonight there is the OPTION of enjoying a sunset dinner cruise on the mighty Zambezi. The size of this successful country can be compared to countries such as Kenya or France, but smaller than Texas. Botswana is a land-locked country with borders with South Africa, Namibia, Zambia and Zimbabwe which can all be crossed overland. For such a small country it boasts an array of spectacular game viewing opportunities such as hundreds of elephants splashing in the Chobe River and the Okavango Delta and its maze of lagoons. 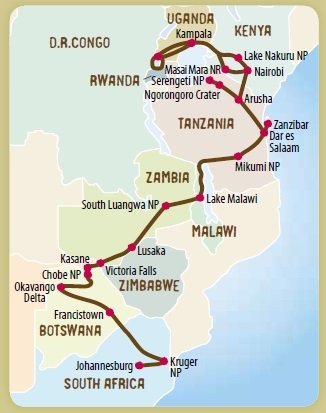 To-day the tour will leave Zambia and cross the border into Botswana at the Kazangula Ferry. Once border formalities have been completed the tour will continue to the town of Kasane, situated on the banks of the Chobe River which forms a border between Botswana, Namibia and Zambia and is the main water source to the Chobe National Park. There will be time, after lunch, to relax and in the afternoon the group will leave for the Chobe National Park Overnight Mobile excursion - an overnight experience in the wilds of the Chobe National Park. Chobe is one of Botswana's premier game parks, well known for its large elephant herds. The afternoon will be spent in search of wildlife while game driving to the campsite within the park where the evening will be spent surrounded by the night-time noises of the local wildlife. Travellers should look out for the rare Sable and Roan Antelope on the game drive, with their majestic backward slanting horns, or try to keep a count of the Lilac Breasted Rollers that swoop by. After the night in the bush an early start will be made to continue the search for wildlife before packing up camp and heading back to Kasane. This land-locked country is situated in the southern part of Afric, between the mighty Zambezi and Limpopo Rivers. 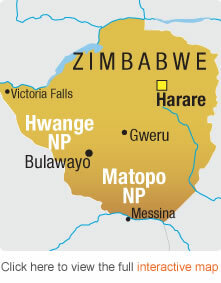 The word Zimbabwe is believed to have two meanings: 1) It is believed the word is derived from dzimba-dza-mabwe which means "large house of stone" in the Shona (Karanga Dialetc) language. The second meaning is believed to have derived from the word "dzimba-hwe" which means venerated houses in the Zezura dialect of Shona. Once everyone has returned to camp they will get back into the truck and continue to the border with Zimbabwe. Once border formalities have been completed there will be a short drive to nearby Victoria Falls. Named after the famous World Heritage site and Water Falls, the town of Victoria Falls is situated on the Zambezi River and surrounded by the Victoria Falls National Park. The campsite is conveniently situated in the centre of the town and within walking distance of the adventure booking agents, restaurants and shops. A 20 minute walk down the main road leads to the entry point to view the Falls which lie between Zimbabwe and Zambia. Victoria Falls, or Mosi-oa-Tunya (the Smoke that Thunders) were named by David Livingstone on his explorations and are one of the Seven Natural Wonders of the World. At 1700 m wide and around 100 m high this is the world's largest sheet of falling water and a memorable sight on any African safari. After an adventure activities briefing the afternoon is free to relax at the campsite's swimming pool, view the Falls or explore the delights of this small town. The next two days are spent relaxing or participating in a myriad of Optional Excursions. Some passengers will leave the tour here to be replaced by new passengers joining for the next leg of the trek. After breakfast the border into Botswana is crossed to head to Kasane where camp will be set up on the banks of the Chobe River. The Chobe River forms a border between Botswana and Namibia and Zambia. Chobe is one of Botswana’s premier game parks, renowned its large elephant herds. The late afternoon there will be a boat cruise along the Chobe River. Elephant, hippo and many bird species can be viewed from the boat while another glorious African sunset can be watched. This morning this beautiful part of Botswana will be left behind as the group departs for the lush campsite called Elephant Sands. The drive will be through very unpopulated landscapes where the donkeys roam freely. 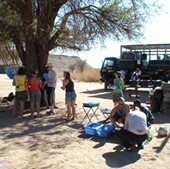 On arrival at the campsite there will be the option of taking part in a game drive or a bushwalk. The crew will provide more information. Maun is the starting point for travel into the Delta and it is from here that the group will leave to explore the Okavango Delta.from Tonight provisions and packs for the overnight excursion will be packed and it is recommended that travellers take along a smaller daypack which can be used to pack the supplies needed for this short trip. The Trip Leader will brief everyone fully on what is needed and what to expect during the trip into the Delta. Here there is the opportunity to take the overnight excursion into the Delta. After rising early the expedition vehicles will be packed up and from Maun the group will drive north for a couple of hours to reach the mokoro polers' station. The Delta region is studded with many local villages where families live in a traditional way. Some of the villages are very remote and can only be reached by the tradiitional mode of transport - the mokoro.. Mokoros are traditional dug out canoes manoeuvred through the waterways by local guides who “pole” them through the reeds. At the mokoro station the 'polers' will be met and supplies packed before heading out onto the waterways. After a couple of hours along the waterways the group will arrive at the mobile tented camp situation in the heart of the Okavango. On arrival the local staff will be met who will give a brief introduction to the camp showing everyone their dome tents with twin beds and a bush en-suite bathroom - long drop toilet and a bucket shower. There will be time to relax with a cold drink or take a paddle in the Delta in a canoe. Activities at the camp include mokoro trails and guided walking. After a mokoro ride and vehicle transfer the group will arrive back around lunch time for a chance to complete the picture by taking an optional sunset scenic flight over the Delta (dependent on weather condtions and availability). 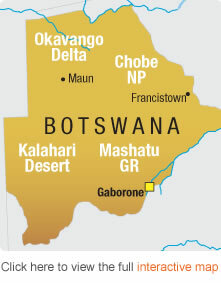 An early start sees the group head for a longish drive to the small town of Palpye, situate about halfway between Francistown and Gaborone - the capital of Botswana. This popular stop-over for those en route is well know for its Morupule Colliery whose coal suppiles Moropule Power Station, Botswana's principal source of electricity. With nine different provinces, 11 official languages and 3 capital cities, South Africa has a real WOW factor - and stops everyone in their tracks. This morning sees the crossing into South Africa and to the camp overlooking the impressie Blyde River Canyon. Named for the Blyde River that runs through it the canyon is 26 km long and averages 800 m deep and forms the northern edge of the impressive Drakensberg Mountain Range. It is classified as a green canyon due to the uncommon occurrence of vegetation that lines it - uncommon in that most canyons are in desert areas and are fairly barren. The main viewpoints along the canyon are the three rondavels, named for the shape of the traditional huts or houses in which the indigenous population used to live. God's Window gives a breathtakingg view across the canyon and the surrounding area. Please note that there is a small entry fee at each of these attractions that will need to be paid upon arrival. The money generated goes toward the support of the local communities. There are also many locals who sell their crafts in this area. Leaving Blydepoort to-day and head through the breathtaking Panorama Route, stopping off at viewpoints including God's Window. The small town of Graskop is passed on the way toward the Kruger National Park and the campsite in the park. Today the amazing Kruger National Park is visited in search of some of the 146 mammals, 500 bird, 114 reptile, 33 amphibian and 49 fish species that make this park their home. Travel will be on the main game viewing routes stopping off at some of the camps on the way. It will be possible to upgrade to an open vehicle for the game drive, and this can be arranged with the tour leader at an additional cost. After a delicious breakfast, the journey to the final destination, Egoli, the place of gold. Johannesburg is the capital of Gauteng, a province in South Africa. On arrival in Johannesburg addresses will be exchanged and goodbyes said, having just experienced a trip of a lifetime. Anyone wishing to extend their stay by a few days to take part in some of the exciting activities on offer should contact Amanzi Travel for advice on post tour accommodation. Below is a selection of Optional Excursions available on this tour. Where activities occur away from base, there may be an additional transfer cost. Please note that all accommodation and activities in Victoria Falls must be paid for in US$ cash. All prices are in US dollars and are approximate and are subject to change, and where activities occur away the base, there may be a transfer cost. For a comprehensive list of things to do before, during or after the trip, please contact Amanzi Travel. Flights should be arranged to arrive into Nairobi's Jomo Kenyatta International Airport. Please make sure that to arrive in plenty of time for the trip departure .Travellers are recommended to arrive the day before the tour start date and depart the day after the tour end date to allow for any delays. Airport transfer and pre-tour night's accommodation in a dorm room are included in the tour price. Full details will be in provided in the pre-departure pack. Amanzi Travel holds an ATOL licence and we can arrange any flight requirements upon request. Support and advice is available from Amanzi Travel office staff and project/trip leaders. Upon booking, you will receive a comprehensive pre-departure pack that provides all the details you will need to prepare for your trip. This document includes information on accommodation, staff, visas, optional activities, packing checklist and medical advice and if you have any questions that are not answered in the pack we are always on hand to help and advise. We will do all we can to ensure that you are well prepared and looking forward to your trip. You will also receive an in country orientation on arrival. A 24 hours a day, 7 days a week emergency contact number is provided for everyone who travels with us. Amanzi Travel holds an ATOL licence (9401) and is able to arrange your flights on request giving you financial protection for your flight and trip costs. We also offer advice on personal travel insurance for your trip. Meals and menus vary as food is purchased en-route and is subject to produce that is available seasonally in the area through which the group travels. As it is intended to support the local communities along the way, fresh produce is mostly purchased direct from the producer or local grower and therefore has an organic appearance. The safari cooks are able to offer a wide variety of menus with the ingredients available, even if the produce on offer is not of the same selectionas that available back home. Breakfast spread consists of bread (toast when time allows), spreads and cereals with a hot breakfast every few days. Lunches are mainly prepared en-route with a supply of "build-your-own" sandwich ingredients available. Dinners are cooked in the evenings on arrival at the campsite. A wide array of dinner menus is on offer during the safari, including curries, stews, pastas, BBQs and even roasts! .The overland vehicles are custom built converted trucks that have seating space for all passengers and a storage area for luggage and all trip equipment. The trucks seta between 27 - 30 passengers on the camping trips. Most seats face forward though some models have a combination of forward, backward and some inward facing seats with tables. Vehicles have sliding glass windows and the seating area is raised giving game viewing and photographic opportunities. Seats are cushioned and there is storage space for personal items such as cameras, snacks and day packs in the seating area. All of the tours are participation trips meaning that all passengers are expected to help out around the camp. The crew members running the trip will set up a rota system that will be followed. One day may be cleaning duty, the next day may be a cooking duty and so on. This is not only to make the trip easier for all involved but also for the passengers to get to know one another while on the trip. In 1907, pioneering tourist, Winston Churchill, called Uganda the Pearl of Africa. The country is small but the physical beauty is striking and the national parks are much quieter than other neighbouring countries. Its landscape varies from the fertile green areas around the northern shores of Lake Victoria, to the snow-covered Ruwenzori Mountains in the west, the highest mountain range in Africa, to the white-water rafting mecca of Jinja, the source of the mighty Nile, and the semi-desert parts of the north. It has the highest concentration of primates on earth, including the majestic mountain gorillas, one of the rarest animals on the planet. This is a unique opportunity to encounter these contemplative creatures at close quarters, hidden among the bamboo and dense jungle of the Bwindi Impenetrable National Park. Stunning, varied scenery of mountains, lakes and desert. The Mount of the Moon, Ruwenzori Mountains, the highest range in Africa. Endangered Mountain gorilla encountered at close quarters. Source of the River Nile at Jinja. Lake Bunyoni is the deepest crater lake in Africa, perfect for swimming, hiking, canoeing or simply sitting back and enjoying the tranquil surrounds. The majority of the country has a tropical climate, where temperatures average 26°C during the day, and 16°C at night; however this can vary according to altitude. The hottest months are December to February where temperatures can reach 29°C. The wettest months are April and May where rainfall is heavy. The dry season from mid-May to mid-October is easier for tracking mountain gorillas, but the endless hills are barren, a contrast to the verdant greens of the wet season. Peak season for gorilla tracking is July and August - travelling outside this time means it is easier to arrange a permit. Rwanda is known as the Land of a Thousand Hills, as it is a lush country of endless mountains and stunning scenery, and nowhere are the mountains more majestic than the peaks of the Virunga volcanoes. In the Parc National des Vulcans, the volcanoes form a natural frontier with the Democratic Republic of Congo and Uganda. Hidden among the bamboo and dense jungle of their forbidding slopes, are some of the world’s last remaining mountain gorillas. Here there is a unique opportunity to encounter these contemplative creatures at close quarters. Kigali is the first city in Africa to be awarded the Habitat Scroll of Honour Award in the recognition of its “cleanliness, security and urban conservation model”. Rwanda has a temperate, tropical, highland climate, with lower temperatures than other equatorial countries due to its high altitude, ranging from 25°C during the day to 14°C at night. The average daytime temperature is around 24°C, except in the higher mountains, which take up a lot of the country, where the range is 10°C to 15°C, and which experiences twice as much rain. Expect frost in the high mountains. Wet season is March to May, and October to December, particularly wet in April. The dry season from mid-May to mid-October is easier for tracking mountain gorillas, but the endless hills are barren, a contrast to the verdant greens of the wet season. Peak season for gorilla tracking is July and August - travelling outside this time means it is easier to arrange a permit. Tanzania is unsurpassed for its magnificent scenery: from the snow-capped heights of Mount Kilimanjaro, the "Crown of Africa", to the exquisite floor of the Ngorongoro Crater; the jewel-like coastal islands of Zanzibar to the awe-inspiring Great Rift Valley, the natural splendours set the stage for the astoundingly diverse wildlife. Within the space of several hours it is possible to go from lazing on idyllic beaches and diving on exquisite coral reefs to exploring the narrow alleys of Arabian influenced Stone Town, from climbing mist-covered slopes in the Southern Highlands to trekking through barren landscapes around Ol Doinyo Lengai, guided by spear-carrying Masai warriors. Turtle season is between December and May, and these prehistoric creatures can be seen laying their eggs on the beaches. Yet, despite its attractions, Tanzania has predominantly managed to remain unassuming and low-key. It has also remained enviably untouched by the tribal rivalries and political upheavals, and this makes it an ideal choice for both first-time visitors and Africa old hands. Tanzania's natural endowment as a wildlife safari destination is unrivalled. Wild animals roam in vast uncrowded and unspoilt areas. The magnificent collection of game sanctuaries to the north of the country, near the border with Kenya, is referred to as the Northern Circuit. This is the most popular and accessible wildlife safari route in Tanzania, and is considered as one of the finest game viewing areas anywhere in the world. Arusha, a city of northern Tanzania is surrounded by some of Africa's most famous landscapes and national parks. Beautifully situated below Mount Meru on the eastern edge of the Great Rift Valley, it has a pleasant climate and is close to Serengeti, Ngorongoro Crater, Lake Manyara, and Mount Kilimanjaro, as well as having its own Arusha National Park on Mount Meru. Mount Kilimanjaro, Africa's highest mountain. Bordered by Africa's three largest lakes - Lakes Malawi, Tanganyika and Victoria. Zanzibar Island, exploring bustling Stone Town, a World Heritage Site, and idyllic beaches, snorkelling, and picturesque fishing villages on Mnemba Island. Ngorongoro Crater - the largest intact caldera in the world, where wildlife are specifically protected. Olduvai Gorge - said to be the birthplace of man. The 20-million-year-old Great Rift Valley. The vast game-filled plains of the Serengeti and hot air balloon safaris. The annual Great Migration of millions of herbivores is a once-in-a-lifetime experience can be viewed between Tanzania and Kenya. More than twenty-five percent of Tanzania is dedicated to conservation areas. Possible to view the elusive "Big 10" in Tanzania - elephant, buffalo, rhino, lion, leopard, cheetah, wild dog, hippo, zebra and giraffe - plus the famous chimpanzees on the shores of Lake Tanganyika. Tanzania boasts over 1,000 bird species, with Lake Manyara National Park alone being home to over 400. Along the warmer and humid coast, the average daily temperatures hover in the 30°C range, and only go as low as 25°C due to sea breezes from June to September. The climate here is determined in large part by the monsoon winds, which bring rains in two major periods. During the “masika” (long rains), from mid-March to May, it rains heavily almost every day, although seldom for the whole day, and the air can get unpleasantly sticky. The lighter “vuli” (short rains) fall during November, December and sometimes into January. July and August have the lowest rainfall. Inland, altitude is a major determinant of conditions. The central plateau is somewhat cooler and arid, while in the mountainous areas of the northeast and southwest, temperatures range between 10 and 20°C during cold and hot seasons respectively, and it can rain at any time of year. In the Kilimanjaro area, temperatures vary from 15°C in May-August period to 22°C over December - March. As one heads to the peaks of Kilimanjaro, temperatures can drop to below freezing, especially at night. The best climbing on Mount Kilimanjaro, which is surprisingly easy, is from August to October and from January to March. 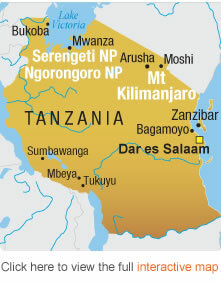 Peoples and Culture: there are over 120 tribes in Tanzania. However, the majority of people on Zanzibar follow the Muslim faith. Dress code to them is of particular importance and it is suggested that women try to dress fairly conservatively in order not to offend the local people. An Arabic influence is also evident in the people, who are a mix of Shirazia (from Persia), Arabs, Comorians (from the Comoros Islands) and Bantu from the mainland. 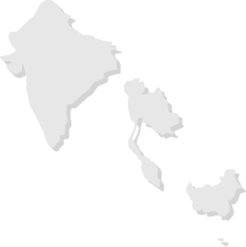 The official language of Zanzibar is Kiswahili. Most residents have a good knowledge of English, Italian and various Arabic dialects. Zanzibar's most world famous musician is Freddie Mercury! He was born Farrokh Bulsara on September 5th 1946 in Zanzibar, to parents Bomi and Jer Bulsara, who were Parsees - members of the Zoroastrian faith. Malawi, “the warm heart of Africa” is a landlocked country whose landscape is stunning and surprisingly diverse. Head for the misty heights of Mount Mulanje or to the Nyika National Park where one will find sheer escarpments, dramatic peaks, endless rolling grassland and some of the most enjoyable hiking routes in the whole of Africa. However, the huge draw for most visitors is “the lake of stars”, Lake Malawi, a peaceful inland freshwater sea with sandy beaches. This magnificent lake stretches 500km along Malawi’s eastern border, covering over 20% of Malawi’s total area, separating it from the wild and mountainous coast of Mozambique and Tanzania. Isolated villages pepper the northern lakeshore and beautiful Liwonde National Park rests at its southern tip. Around 500 species of fish inhabit the lake and the freshwater diving and snorkelling here are excellent. Malawi’s temperate climate allows for swimming in the clear blue freshwater lake all year round. Also popular are a multitude of water sports, horse-back rides and visits to local villages and schools. Traditional fishing techniques are still practiced and boating skills will be appreciated by anyone who tries to paddle a dug-out canoe themselves! Magnificent and peaceful clear blue freshwater lake with sandy beaches – the second largest in the world. Temperate climate for year round swimming. Stunning , varied scenery of mountains, lakes and endless rolling grasslands. Fabulous freshwater diving and snorkelling. Great fishing, with around 500 species of fish in the lake. Lilongwe is a small city distinctly divided into the old town and the new administrative centre. Although Malawi has an equatorial climate, it is generally hot in the low-lying areas of the south, and temperate in the northern highlands. The best time to visit Malawi is during the dry season. From May to July the landscape is attractive and the vegetation is green and lush and the temperature is cooler. October and November, at the end of the dry season, is the best time for wildlife viewing, although temperatures can be uncomfortably hot. The wettest months are March and April where rainfall is heavy. For anyone out to experience the ‘real’ Africa, Zambia is that diamond in the rough. The country boasts some of Africa’s best game parks and shares (with Zimbabwe) some of the region’s major highlights, such as Victoria Falls, Lake Kariba, Lower Zambezi National Park and South Luangwa National Park. South Luangwa National Park is one of the best parks in Africa for night game-drives. More than 60 mammal species and over 400 bird species are found in this Park, which is also renowned for thousands of hippo and crocodiles. Luangwa is the birthplace of the Walking Safari and there is no better way to explore this wilderness. Featuring leafy woodlands, slow-moving river channels and lily-bedecked lagoons, South Luangwa is renowned for the expertise of its guides. It is also excellent for spotting leopards and is home to about 15,000 elephants and the same number of hippo. The Thornicroft's giraffe and Cookson's wildebeest are unique to the region. The mighty Zambezi River is tamed by the Lower Zambezi valley, becoming gentle as it spreads languidly across the Valley. Islands and floodplains create a densely vegetated habitat for a wide variety of wildlife, elephant in particular. This area is seasonal and many of the lodges and camps are closed from November to March. It is also an angler’s dream as fishermen try their luck on the mighty Zambezi, with the hopes of landing a tiger fish or rare, giant vundu. Avid birdwatchers also flock to Zambia to glimpse its fabulous diversity of birds. Game viewing along the upper Zambezi River by canoe or cruise boat is rewarding and relaxing. Adrenaline junkies may want to experience the spectacular view while bouncing upside down from the end of a bungee cord off the Victoria Falls Bridge. Intrepid travellers will also be attracted by the white-water rafting excursions on the swirling waters of the Zambezi Gorge. Helicopter or micro-light trips over the Falls, game-drives in the Mosi-oa-Tunya National Park, horse trails along the Zambezi River and a visit to Maramba Market are also available. Most activities are accessible from the quaint colonial outback frontier town of Livingstone. Renowned for its pristine National Parks, including Kafue, South Luangwa and Lower Zambezi. It is named after the mighty Zambezi River flowing along its southern border, which is fed by the Kafue and Luangwa tributaries. Victoria Falls and the Zambezi River are accessible from nearby Livingstone Town. Livingstone is home to numerous activities for adventure seekers, including bungee jumping, white-water rafting and abseiling down the gorge. It boasts one of the largest areas of land under the protection of national parks in Africa, featuring abundant wildlife. Canoeing, rafting and fishing safaris, upstream from the Falls on the Zambezi River, are possible, as are canoeing trips on the Lower Zambezi. Kafue National Park is about the size of Wales or Massachusetts, with exceptional bird watching. The country, shaped by three great rivers, is characterised by water, including a trio of massive lakes - Lake Tanganyika, Lake Kariba and Lake Bangweulu. 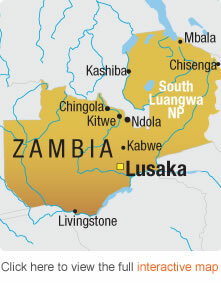 Zambia's elevation on a plateau gives it a moderate climate, despite the fact that it is within tropical latitudes, and the average monthly temperature remains above 20 °C most months. warm and wet from December to April, ideal for bird-watching. The Victoria Falls are spectacular in April and May after the rainy season. Language – English is the official language, with Nyanja, Bemba, Lunda, Tonga, Lozi, Luvale and Kaonde being recognised regional languages. The beautiful country of Zimbabwe offers something for everyone; from the absolute wilderness of Mana Pools National Park, the ruins of Great Zimbabwe and the mountains overlooking Mozambique, to fine dining in Harare or bunjee jumping over Victoria Falls. It is rich in culture and colour and the Zimbabweans have not lost their humour and resolve. Victoria Falls is one of the worlds’ biggest and most spectacular waterfalls, with a network of trails leading through the rain forest surrounding the “smoke that thunders”. Take an umbrella and raincoat and gaze at the incredible vistas of one of the Seven Natural Wonders of the World. Victoria Falls village is home to a seemingly endless variety of adventure sports from bungee jumping to canoeing and white-water rafting. Apart from its appeal to adventure enthusiasts the village still has a gracious, pioneering and colonial atmosphere. Hwange Park is one of the finest conservation areas in Africa and is said to contain the widest variety and greatest density of wildlife in the world. Game viewing is generally restricted to the Hwange Park road network, but it has private concession areas allowing off-road safaris and nature walks. Mana Pools is an unspoiled, remote Park in the Zambezi Valley, a subtropical region, with the terrain and vegetation varied from the river up to the Zambezi Plateau. Walking is allowed (at visitor's own risk) and can be exhilarating and rewarding, if caution is taken. Lake Kariba is one of the largest man-made lakes in the world, with abundant game-sightings and excellent angling for bream and tiger fish. The Lake provides pleasure to locals and visitors alike with fishing, canoeing, sailing or drifting along on a houseboat. The Matopo Hills is an area of incredible beauty with a mythical history and a proud people, the Matebele. The Matobo Hills were so named because they looked like the bald heads of indunas (chiefs). The entire region is a complex of bizarre and exposed granitic formations. Once inhabited by the bushman, today one can find magnificent examples of rock art in and amongst the caves. The Matobo National Park is one of Zimbabwe's prime wildlife sanctuaries with a large population of white rhino, the elusive black rhino, a variety of antelope species, baboon, rock hyraxes and a large population of leopard and black eagle. The magnificent Victoria Falls are classed as one of the seven Natural Wonders of the World. Zimbabwe is home to four World Heritage Sites - Victoria Falls, Mana Pools National Park, the Great Zimbabwe Ruins and the Khame Ruins. Lake Kariba is one of the world's largest man-made lakes, with abundant game and excellent angling for bream and tiger fish. Magnificent national parks include Hwange, Mana Pools, Matusadona and Chizarira. Adventure activities abound and include canoeing on the lower Zambezi, kayaking and rafting on the upper Zambezi, and bungee jumping at Victoria Falls. For high adventure enthusiasts, white-water rafting is most exciting when the Zambezi waters are low (generally from August to December) and is often referred to as the best one-day white-water rafting in the world. Canoeing down the Lower Zambezi affords an ideal opportunity to get close to Africa's wildlife. Magnificent scenic areas in the Eastern Highlands Highlights of Zimbabwe. Zimbabwe offers excellent game-viewing opportunities throughout the year. Due to Zimbabwe’s high altitudes, it has a beautiful and moderate climate, where temperatures are never very extreme. It has warm summers, November to April, where days are generally sunny in the morning with possible dramatic afternoon/evening thunderstorms. Temperatures of 35°C in summer are considered boiling. Winter occurs from May to October and days are sunny and cool to warm while evening temperatures drop sharply. Temperatures of 7°C in winter are considered freezing. The end of the cool, dry season, around September/October, is the top time for wildlife viewing. The main rains fall between November and March, although the Eastern Highlands are damp for most of the year. The Victoria Falls are spectacular in April and May after the rainy season. Currency – none. The Zimbabwean dollar was suspended by the government due to hyper-inflation. The US dollar, South African rand, Botswanan pula, pound sterling and Euro are used instead. The US dollar has been adopted as the official currency for all government transactions with the new power-sharing regime. Botswana is a land of dramatic contrasts, from the crystal clear waters of the Okavango Delta, to the large elephant herds in the Chobe National Park, the abundant birdlife in Moremi Game Reserve and the vast savannah of the Kalahari desert, which covers over 70% of the country. It is no wonder that Botswana has become one of the fastest growing economies in the world. Surrounded by the sands of the Kalahari Desert is the magical oasis of the Okavango Delta, the world’s largest inland delta, formed by ancient seismic shifting of the earth's surface. Wide grassy floodplains are host to a magnificent array of wild animals. Within this lacework of channels, game viewing and bird watching is frequently guided from mokoro (dugout canoes) or more commonly, environmentally-friendly fibreglass replicas. In these slender flat-bottomed craft, visitors are propelled by expert polers. Chobe National Park, approximately 62 miles due west of Victoria Falls, is abundant with wildlife all year round, and features the beautiful Chobe River on its northern boundary. Throughout the area numerous clay-bottomed pans hold water during the short rainy season. During the rainy season, from November, one can witness the zebra migration from the north-western area of Linyanti heading south through the Savute plains to the salt pans around Makgadikgadi, where the foals are born. The herds then return to Linyanti between February and April. The Kalahari Game Reserve is one of the most remote and unspoiled parts of Africa. At certain times of the year, usually during the summer rains, the northern section of the Park is one of the prime game viewing areas of Botswana, not to mention the breathtaking landscapes that await discovery. Seventeen percent of Botswana is comprised of pristine national reserves, featuring some of Africa's most beautiful subtropical wilderness, generally teeming with wildlife. A land of awesome contrasts - from the vast plains of the Kalahari Desert to the crystal clear waters of the world's largest inland delta, the Okavango Delta. Game viewing by mokoro (dugout canoe) in the Delta is unforgettable. Sunshine totals are high all year round, although winter is still the sunniest period. Chobe National Park is home to the mighty Chobe River and what is arguably the world's largest concentration of elephants. View Botswana’s annual zebra migration in the Linyanti and Savute areas. Moremi Game Reserve is renowned for its superb birdlife. The game-filled Central Kalahari Game Reserve, at 54,600 km2, is Botswana's largest reserve. Botswana is semi-arid, due to the short rain season. It experiences extremes in both temperature and weather. In the winter (late May through September), days are normally clear, warm and sunny, and nights are cool to cold, with average temperatures of around 14 °C. The whole country is windy and dusty during the dry season. Wildlife never wanders far from water sources, so sightings are more predictable than in the wetter summer season. This is also the time of school holidays, so some areas can be busy, especially between mid-July and mid-September. In summer (October to April), Botswana has hot summers with average temperatures around 26 °C. Wildlife can be harder to spot and rains can render sandy roads impassable. This is also the time of the highest humidity and the most stifling heat, where daytime temperatures of over 40°C are common, so the magnificent afternoon showers can be a welcome relief. The main rains fall between December and March, but often just in the form of brief thundershowers that last an hour or two before the sun re-emerges. The sunlight after an African storm is incredibly intense and superb for wildlife photography. The summer rains also bring spectacular migrant birds to Botswana. Every country in the world displays some diversity, but South Africa, stretching from the hippos in the Limpopo River to the penguins waddling on the Cape, takes some beating. There’s the deserted Kalahari, Namakwa’s springtime symphony of wildflowers, iconic Table Mountain and Cape Point, Africa’s biggest game reserve - Kruger National Park - boasting the most mammal species of any game reserve, and the magnificent peaks and plunging valleys of the escarpment of Drakensberg. Cape Town is widely described as one of the world's most beautiful cities. Some of its more famous landmarks include Table Mountain, Robben Island (where Nelson Mandela was imprisoned for decades), Cape Point, Chapman’s Peak, Kirstenbosch Gardens and the Victoria and Alfred Waterfront. A combination of historical coastal charm and urbane sophistication, Cape Town has some of the finest beaches and is also the gateway to the lush Cape Winelands, famous for world-renowned wines. From here, it is an easy journey to the Whale Route, where Southern Right whales can be seen (June - November) and humpback whales, Bryde's whales, Minke whales and bottlenose dolpins can be viewed year round. The Garden Route is renowned for its beaches, indigenous forests, nature reserves, lakes, mountain ranges, adventure opportunities and hiking trails. Plettenberg Bay is a relaxed beach paradise with spectacular walks and hikes where one can watch dolphins and whales on eco-marine cruises. With some of the world's finest beaches, the Eastern Cape's untouched and pristine coastline also has a rich social, cultural and political history. Port Elizabeth is the gateway to the Eastern Cape, and the perfect complement to the Garden Route. Cape St Francis is situated on the Indian Ocean coastline, in and around Africa's largest man made web of canals and waterways, and is renowned for its long, sandy beaches, surfing, rock fishing and tranquil lifestyle. Kruger National Park is the flagship of South Africa's game reserves, offering an unrivalled wildlife experience over two million-hectares. Private concessions operating within and alongside Kruger National Park feature luxurious, exclusive game lodges with many exciting safari activities. Some of these lodges are unfenced, allowing for the free movement of wildlife. Madikwe Game Reserve, in the North West province, is one of South Africa's largest private Big Five game reserves and features numerous lodges and camps. The Waterberg area in the northwest is also malaria-free and is aptly named for its strong streams that flow even in dry seasons, making for excellent game viewing. 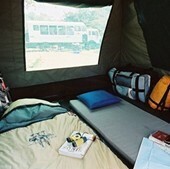 Both reserves are great for those seeking an accessible malaria-free wilderness experience. Durban is a sub-tropical city and the gateway to KwaZulu-Natal. It offers a unique mix of Zulu, Indian and colonial cultures. Visit the Anglo-Zulu battlefields, take a fascinating glimpse into Zulu culture, hike in the beautiful Drakensberg Mountains, dive the reefs, marine and coastal reserves of Maputaland, as well as experience Big Five game reserves. The Hluhluwe-Umfolozi Game Reserve is renowned for saving the white rhino from the brink of extinction, and Phinda Private Game Reserve is well known for its award-winning lodges and conservation initiatives. Johannesburg meaning "Place of Gold", is South Africa's economic powerhouse. This vibrant and cosmopolitan city is home to many attractions including the Apartheid Museum and Constitution Hill, and also offers shopping from world-class to atmospheric curio markets. Known as the "Jacaranda City", the state capital of Pretoria features beautiful blossoming trees, significant old buildings and fascinating museums, including the Transvaal Museum, home of Mrs Ples, the australopithecine fossil found at the Cradle of Humankind. Breathtaking scenery, quaint coastal villages, cosmopolitan cities, wine routes and exclusive bush lodges. Exciting Big Five safaris in unspoilt wilderness areas. Malaria-free game viewing and sunshine all year round. See Robben Island, where Nelson Mandela was held in prison for 27 years. Go up Table Mountain by cable car for stunning views of the Atlantic Ocean and beautiful Cape Town. Whale watching and great white shark cage diving. Beautiful, pristine beaches perfect for swimming and sunbathing. The Cradle of Humankind: Sterkfontein is one of the world's most productive and important palaeoanthropological sites. 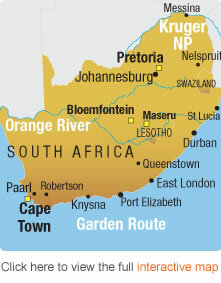 South Africa has typical seasons of weather for the southern hemisphere, with the coldest days in July-August. The Benguela Current, a cold motion that moves from the lower South Atlantic Ocean, causes moderate temperatures on the West Coast. On the central plateau, which includes Free State and Gauteng provinces, the altitude keeps the average temperatures below 30 °C.In winter, also due to altitude, temperatures drop to freezing point, and in some places, even lower. Heavy snows have fallen recently for the first time in decades in Johannesburg. During winter, it is warmest in the coastal regions, especially on the Eastern Indian Ocean coast and Garden Route, where it has year round mild weather with occasional rain. As winter is cooler and drier, it is more suitable for hiking and outdoor pursuits, and is also a good time for game viewing as vegetation is less dense and thirsty animals congregate around rivers and other permanent water sources. In summer, South Africa experiences the hottest temperatures and this is generally when most rain falls, October – March. However, there is one exception - the Western Cape, which is a winter-rain area that enjoys a Mediterranean climate (average 26°C). Christmas to mid-January, and Easter are the height of the peak season for visitors. Autumn (April/May) and Spring (mid-Sept to November) are ideal almost everywhere. For a country of its size, Kenya really does pack a lot in: mountains and deserts, colourful tribal culture, beaches and coral reefs and some of Africa’s best wildlife attractions. Stunning landscapes set the scene, from Kakamega’s rainforests to Indian Ocean beaches and idyllic islands such as Lamu, by way of Mount Kenya National Park, the rolling grasslands of the Masai Mara to searing deserts on the shores of the Jade Sea; with the Rift Valley, home to millions of breeding flamingos on Lake Nakuru and spectacular birdlife and hippo families on Lake Naivasha, cleaving a massive gash through it all. Wildlife safaris have been hugely popular in Kenya for decades, with legendary personalities such Ernest Hemingway and Karen Blixen highlighting their appeal, and films such as Out of Africa and Born Free portraying the romance, thrill and excitement of the country. Kenya has over twelve national wildlife parks, being among the best places in Africa to see lions, elephants, leopards and the famous wildebeest migration. The Masai Mara is famous for its annual Great Migration of more than two million wildebeest and thousands of Thomson's gazelle, zebra and impala. Aside from the Migration, game-viewing is excellent throughout the year. Large herds of elephant are common sights in the dry, ancient lakebed of Amboseli National Park, as are buffalo, gazelle, giraffe and zebra. In addition to the wildlife in Tsavo National Park, the Mzima Springs are popular, where millions of litres of cool, crystal-clear water flow out of the ground through porous volcanic rocks. The Samburu Game Park is a narrow plain giving way to rocky hillsides which are home to leopard. A highlight of these Parks is watching large numbers of elephant bathing in the Ewaso Nyiro River. The possibilities of trekking the glacial ridges of Mount Kenya, ballooning over the Masai Mara, snorkelling at the Marine National Park in Malindi on the Indian Ocean are all very real in Kenya. Kenya immortalised the safari with legendary personalities such as Ernest Hemingway and Karen Blixen, and films such as Out of Africa and Born Free. Kenya's Masai Mara National Reserve is renowned for the annual Great Migration of millions of herbivores – one of the seven new wonders of the world. Masai and Samburu tribes-people live and tend their livestock alongside the resident wildlife. The country abounds in diverse landscapes, including the spectacular Great Rift Valley. It is one of the best countries in Africa for seeing large concentrations of animals throughout the year. Kenya is a birdwatcher's dream destination, with more than 1,000 species recorded. Lake Nakuru is a breeding ground for flamingo - up to two million birds can be found, and greater and lesser flamingos also migrate along Lakes Magadi, Elmenteita, Bogoria and Turkana. Mount Kenya is the second highest mountain in Africa and features a number of permanent glaciers. The best view of Tanzania's Mount Kilimanjaro is from Kenya's Amboseli National Park. The coastline is beautiful, particularly the Lamu Archipelago, featuring the islands of Lamu, Manda and Pate. Old Lamu Town is a World Heritage Site. The hot, rainy plateau of western Kenya has rainfall throughout the year, the heaviest usually during April when as much as 200mm may be recorded, and the lowest in January, with an average of 40mm. Temperatures range from a minimum of 14°C to a maximum of 36°C throughout the year. The temperate Rift Valley and Central Highlands have perhaps the most agreeable climate in the country. Average temperatures vary from a minimum of 10°C to a maximum of 28°C. Rainfall varies from a minimum of 20mm in July to 200mm in April, falling in essentially two seasons – March to the beginning of June (the ‘long rains’) and October to the end of November (the ‘short rains’). Mount Kenya and the Aberdare Range are the country’s main water catchments, with falls of up to 3000mm per year recorded in these places. 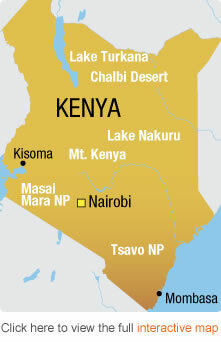 In the semi-arid bush-lands of northern and eastern Kenya temperatures vary from highs of up to 40°C during the day to less than 20°C at night. Rainfall in this area is sparse and, when it does occur, is often in the form of violent storms. July is usually the driest month and November the wettest. The consistently average temperatures of the humid coast region vary little during the year, ranging from 22°C to 30°C. Rainfall is dependent on the monsoon, which blows from the north-east from October to April and from the south-west for the rest of the year. Its rainfall averages from 20mm in February to around 300mm in May. 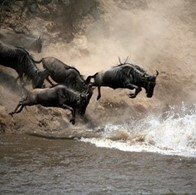 Depending on when the rains come, the Great Migration normally reaches Kenya around July. Hundreds of thousands of herbivores then disperse onto the plains of the Masai Mara for the next couple of months. Nairobi, from the Masaai "enkare nyarobi" means "Place of Cool Waters"
Amanzi travel were truly amazing when myself and two friends wanted to book a trip to Africa. 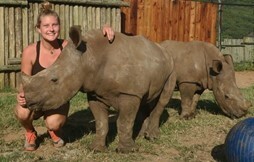 We were recommended to Amanzi travel by a friend who had previously done a volunteer project through them. We went on the Southbound 21 day overland tour... and what a trip it was, we loved every single minute. Amanzi travel were very accommodating and very helpful with everything from sorting flights, payments etc, even replying to emails on the same day, if not the next, and only a phone call away. A fabulous service with extremely helpful staff, that I would highly recommend to anyone wanting to book a once in a life time experience. I will certainly be using Amanzi travel for my future trips to Africa! Excellent - Long drives but made worth it by absolutely amazing experiences!! Amanzi Travel are excellent - professional, informative but with a real personal service ... 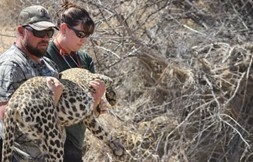 The cheetah volunteer project was an absolutely fantastic experience, and the Overland trip was brilliant. A Leopard Legacy Lives on! Ever Considered Volunteering on a Wildlife Conservation Project? I just wanted to say THANK YOU! Thank you for your great support. Thank you for answering all my questions. Thank you for planning my volunteer trip and my stay at the N/a'an ku se lodge with all personal wishes that I have. Thank you for the best experience I had in my life until now! :) Everything was perfect and just the way I hoped it would be. The staff was very caring and friendly (at the volunteer camp and at the lodge). I learned a lot about African animals, endangered species, the bushmen culture and much more. Someday I'll return to the sanctuary and I would always book the trip with you again. We believe in rewarding great travellers straightaway, so our seriously rewarding, straight-forward, cash discounts start immediately! 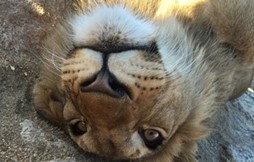 Join the Pride and you’ll be the first to hear about Exciting Competitions and travel tips, Great Wildlife and Travel features, Latest deals and offers.